At Whole Body Physical Therapy, we help in the recovery for active people in Long Island, NY who are limited from doing the things they want to do due to discomfort, pain or other physical limitations. We help with various conditions; common conditions like back pain, knee pain, shoulder pain to more complex issues. Our goal is to help our patient’s stay active without being dependent on pain meds, injections or surgery. ...I have been in and out of PT throughout much of my athletic life, most of the time I quit due to the redundancy of exercises between PT and day to day training. It felt like a waste of time. After Olympic trials this speed skating season I required bilateral hip FAI surgery. If I was ever going to skate again I needed the best PT I could find. No wasting time here. Dr. Kim works one on one with you for an hour. Not just 5 min and off to the next patient. For any one serious enough to exercise on their own, this will be the fastest and best fix. I am 3 months post op and my day to day mobility is back. As an elite athlete I do a lot of research to find the best, and stick to it if I find results. Dr. KIM IS THE REAL DEAL! ...Personally as a former college baseball player and going through multiple physical therapist, he was one of the best I have ever been to. This was not one of your 15 minute sessions, it was an hour long session making sure he got through all of the soft tissue work that needed to be done on my shoulder. 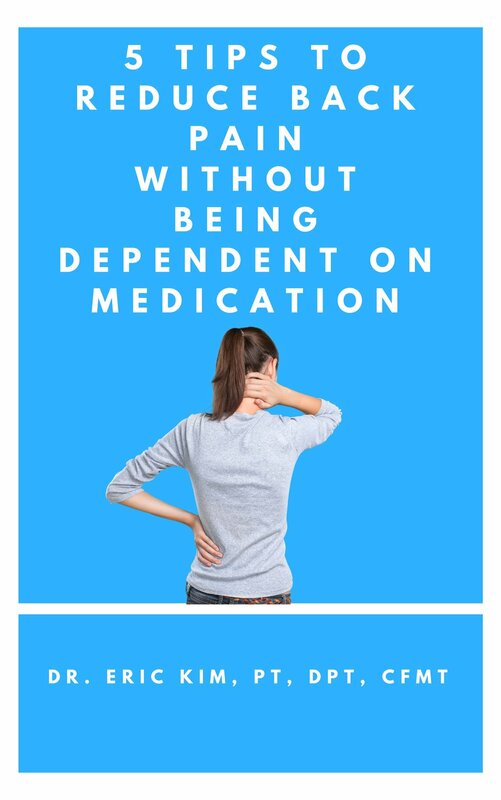 Find out 5 tips that you can immediately start using to help relieve your back pain without medication. Begin your path to getting back to being active!